Not exactly rocket science when you stop and look at your monitor. Is it not a box-shaped item that is akin to your TV set? Of course it is. And you don’t read TV, do you? Of course you don’t. Well unless you count reading the now incessant scrolls that every news/sports network has on the bottom of its screen. But by and large you don’t read TV, you watch it. You watch the images. You watch the video. You watch the film. So why should your computer be any different. Now, before I go on, let’s one thing perfectly clear. 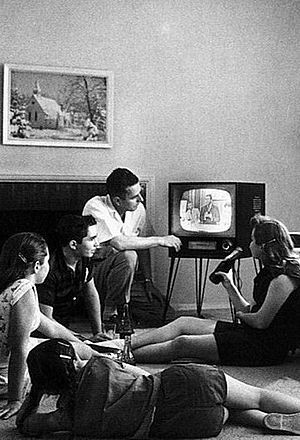 I am in no way espousing the belief that traditional TV is dead; that we’ll be watching TV on our computers in the near future and our current TVs will become antiques. Nor am I advocating the removal of all text from all Internet sites as fast as humanly possible to be replaced by videos and/or pictures. Being a writer who makes his living off the writing of words which appear on computer screens, I would kind of like to see words stay for a while. The folks at M Booth recently got together with SimplyMeasure to measure consumer engagement data on the Internet and social media networks. So, Mr. Brand Marketer & Mrs. Brand Manager and anyone else who is responsible for hits the Internet airwaves – especially those that hit the social media networks, try and remember the computer/TV analogy and instead of “just” posting words, include and image or video to help tell the story.